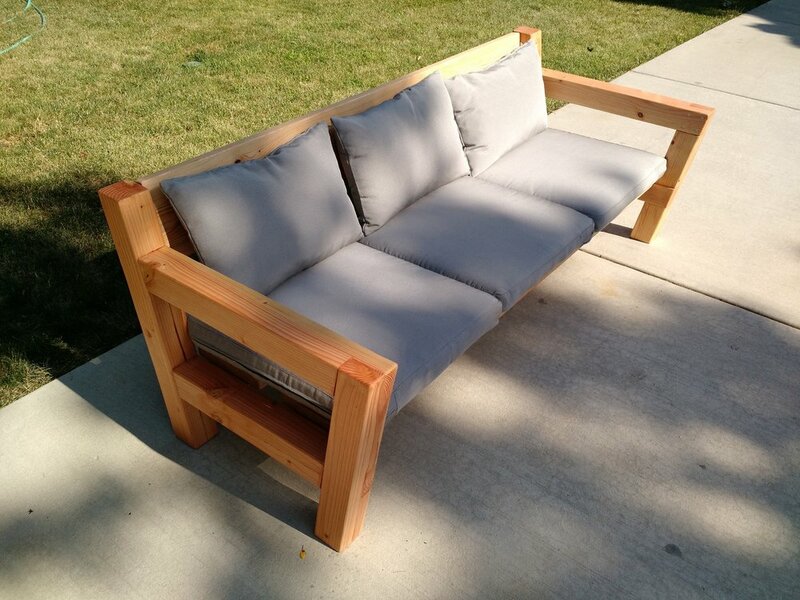 This started as a design challenge using 4"x4" home center lumber (Douglas Fir) to design an outdoor sofa with sturdy hand-cut joints with a modern aesthetic over the course of a long weekend. I wanted to capture the outdoor environment of rooftop bars and outdoor seating patios and bring it home to my apartment balcony. 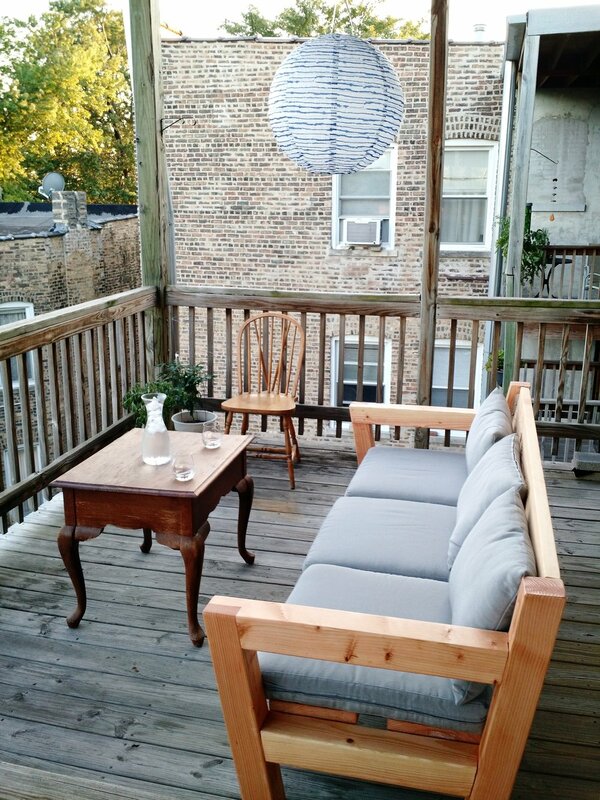 It is topped with IKEA outdoor cushions and finished with Danish oil and treated with a waterproof sealant to brave the elements. Although I had the general angles sketched out, I still needed to work with the actual material to see if the scale and proportion worked in real life. I mocked up the couch several times before making the final cuts. The joints were laid out and cut by hand using traditional hand tools and techniques.